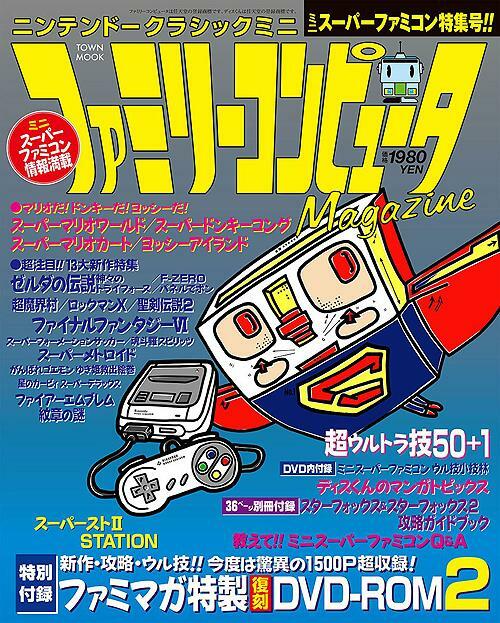 Tokuma Shoten ceased publication of Family Computer Magazine (Famimaga) over a decade ago but the publisher is reviving the brand for a one-shot special issue to mark the upcoming release of the Super Famicom Mini in Japan this October. In addition to 100 pages of Super Famicom history, the mook (magazine + book = mook) includes a DVD which features 1500 pages from past issues of the magazine in PDF format, reprints of special articles, and the special guides for Starfox and Starfox 2. Preorders are welcome to ship on or around October 5, 2017.